When will be The Proposal next episode air date? Is The Proposal renewed or cancelled? Where to countdown The Proposal air dates? Is The Proposal worth watching? From the creator of The Bachelor comes the new sensation in dating shows. Each episode, 10 eligible daters compete in four pageant style rounds to win the heart of a mystery suitor or suitress whose identity is concealed from them. When the winner finally gets to meet their concealed suitor, it comes with a romantic proposal. Ten eligible women vie for a chance at love with a mystery man who, as a former suitor, captured the heart of America but not that of the mystery woman. Nine eligible gentlemen vie for the heart of a mystery woman looking for a man that is the perfect mix of Mr. Rogers and Christian Grey. Over the course of the evening, only two lucky gentlemen will have the opportunity to make a proposal of a lifetime. The Proposal next episode air date provides TVMaze for you.  EpisoDate.com is your TV show guide to Countdown The Proposal Episode Air Dates and to stay in touch with The Proposal next episode Air Date and your others favorite TV Shows. Add the shows you like to a "Watchlist" and let the site take it from there.